Come learn how to play one of the fastest growing sports in America. 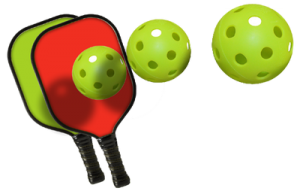 Pickleball combines elements of tennis, badminton and ping pong. All equipment provided. These clinics are for boys and girls ages 8 and up. Registration will close 1 week before each session begins.